3. Display - 5.99" in-cell IPS display, FHD+ resolution, brightness, contrast, color temperature, sRGB coverage, etc. 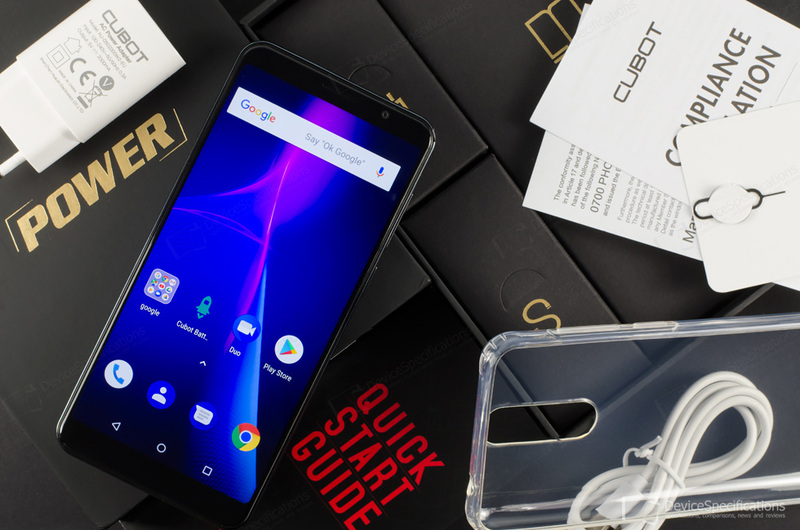 Cubot Power is a classic mid-range smartphone and one of the better-specced Cubot devices. The most interesting thing about this model is that it sports the classic combination of a big battery (6000 mAh) and the very power-efficient Helio P23 chipset from MediaTek. This combination has proven to be quite successful in terms of elongating battery life and the top positions in all our battery life tests are occupied by devices that run on this chipset and have batteries with big capacities. In addition, the smartphone sports an FHD+ display with a 5.99-inch diagonal size. 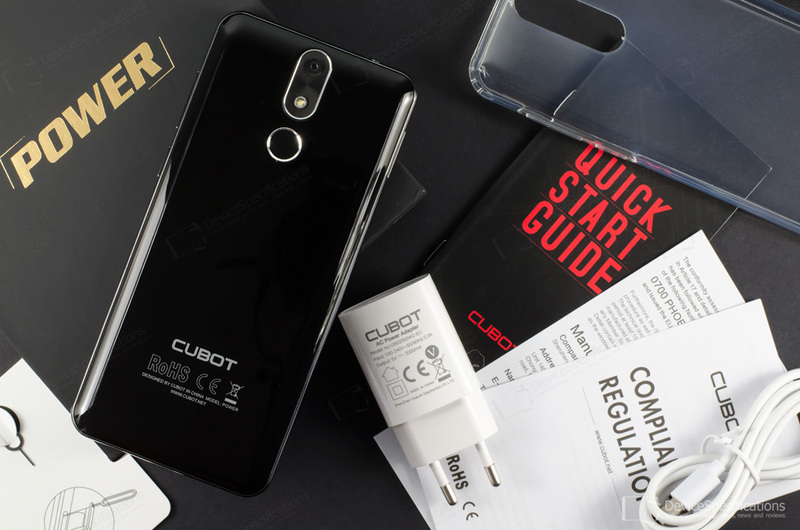 1080p resolutions are a rarity for Cubot smartphones, so if you're a fan of the brand, you should definitely check out the Cubot Power and the following in-depth review of this model. You can buy a Cubot Power at a promotional price from Gearbest or from Cubot's official store on AliExpress. Cubot Power features a 5.99-inch display with an in-cell IPS panel that has an FHD+ resolution (1080 x 2160 pixels), an 18:9 aspect ratio, and 90% NTSC colour coverage. The typical brightness is specified as being 450 cd/m2 and the static contrast ratio is 1300:1. The screen is protected by a 2.5D curved glass of unspecified type. The glossy plastic hood covers a 6000 mAh Li-Pol-Ion, unremovable battery coupled with a 5V/2A charger. Performance-wise, the model relies on a 64-bit MediaTek Helio P23 (MT6763T) chipset. Built on the 16nm process, it packs an octa-core Cortex-A53 CPU with four 2.3GHz cores and four 1.65GHz ones. The graphics department is managed by a dual-core 770MHz Mali-G71 MP2 GPU. There are 6GB of double-channel LPDDR4X RAM on board, clocked at 1600MHz and 128GB of internal memory, expandable with up to 128GB. The camera department features a 16MP Samsung S5K3P3SX primary shooter (interpolated to 20MP) with a 6-element lens, an f/2.8 aperture and 1A dual-LED flash. The front-facing shooter packs an 8MP GalaxyCore GC8024 sensor (interpolated to 13MP) and a 4-element lens with an f/2.8 aperture. The device supports 2G GSM (850, 900, 1800, 1900 MHz), 3G W-CDMA (900 MHz, 2100 MHz), and 4G FDD-LTE (800, 900, 1800, 2100, 2600 MHz) networks. LTE speeds are Cat. 6 ones and simultaneous 4G on both SIM cards is supported. The wireless connectivity options of the Cubot Power include Bluetooth 4.2, dual-band Wi-Fi 802.11 a/b/g/n, Wi-Fi Direct, Wi-Fi Hotspot, Wi-Fi Calling. The smartphone works with GPS and GLONASS and is equipped with a USB Type-C 2.0 port, a 3.5 mm jack, and a rear-mounted fingerprint sensor with 0.1s unlock time, 360-degree recognition and a wide spectre of functions. The model runs on almost stock Android 8.1 Oreo out-of-the-box.